Masculinity is being challenged today. Men have to compromise and forego many manly habits. Among other things they must alter their food choices. Diets have to be now light and healthy. Yet men want food that is virile and simple. It should provide first and foremost raw power and energy, the very attributes of manhood. There should be plenty of it to squash hunger. Finally it should be natural and homey. 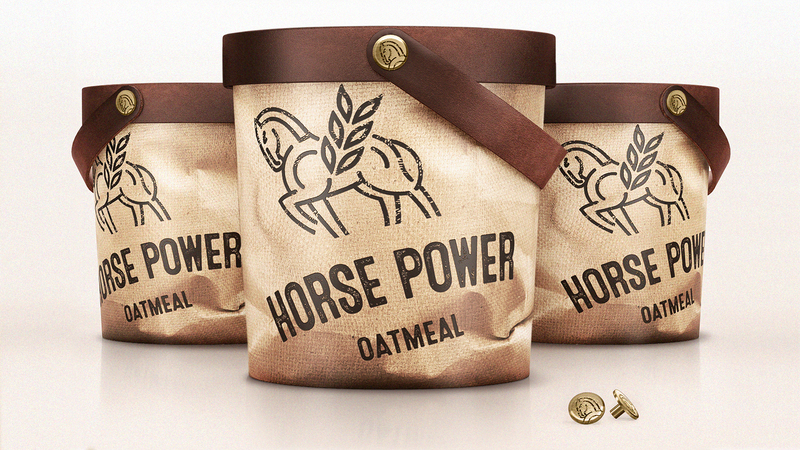 Oatmeal meets all three criteria perfectly. For centuries it was popular in Scotland, Scandinavia, the Baltics and Easter Europe, before we forgot how nutritious and healthy it is. 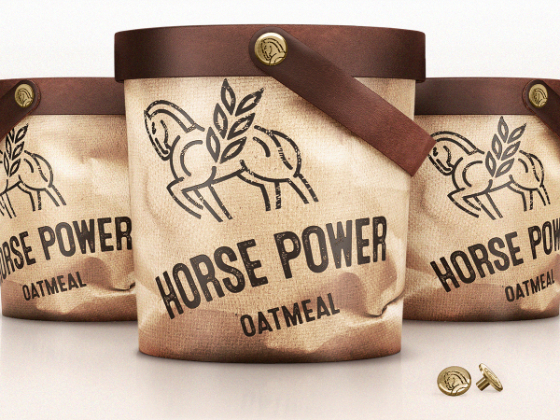 It was a source of strength and stamina both for men and horses. 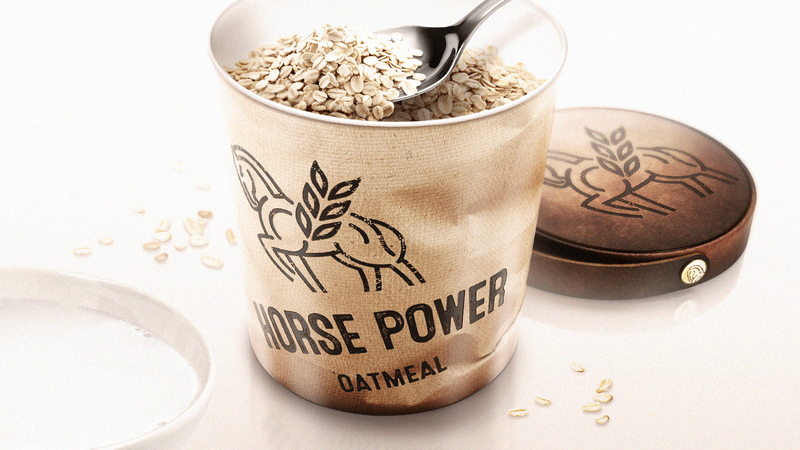 Horse Power Oatmeal goes back to the basics of manly food. It is simple and quick to prepare, just the way men like. It doesn't have any peculiarities, yet a strong flavor. Most importantly it grants unrefined strength and stamina after consumption. 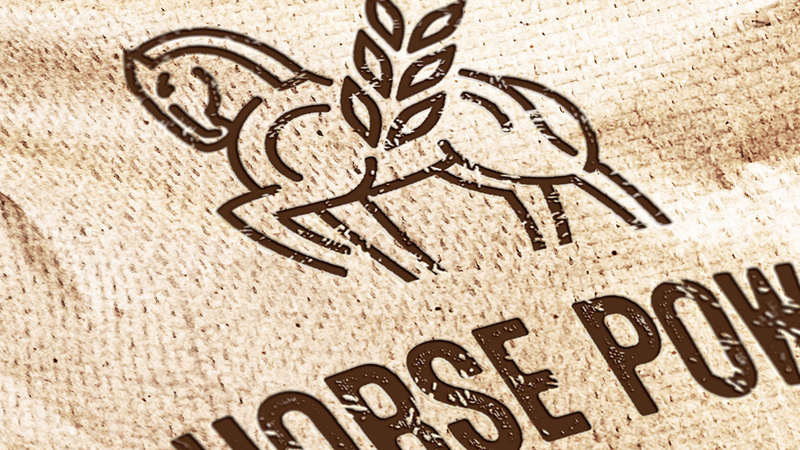 The horse in the logo and brand name is a symbol for vigor. It also represents freedom and latitude to follow one’s own path. 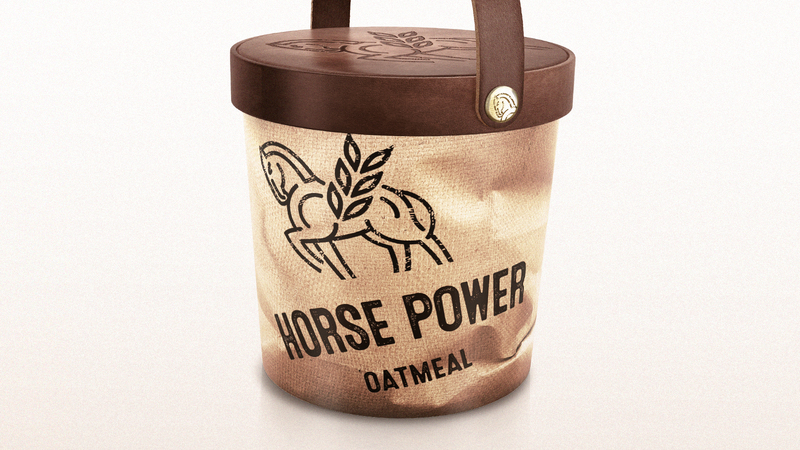 The packaging design and materials used are sturdy and rugged, illustrating both the manly nature of the product as well as its organic quality.